CDs full of information, maps, and more. 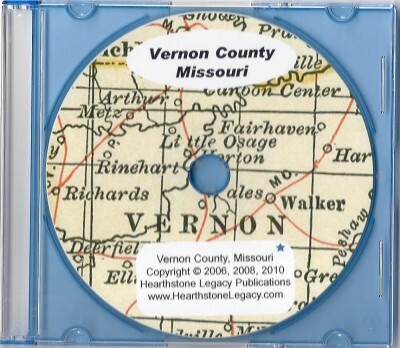 1887 History of Vernon County, Plat Maps, Cemetery Location Maps and more. 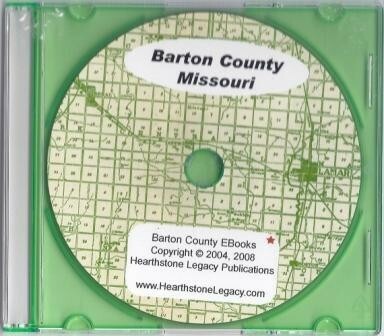 CD of the 1889 History of Barton County book, 1913 Red Book, and Barton County Maps. 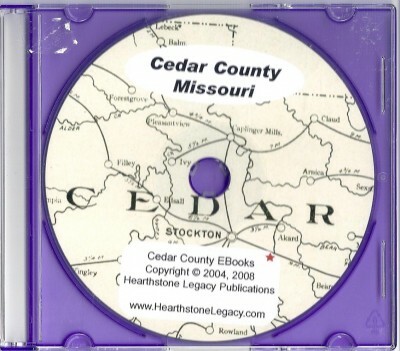 CD containing the 1889 History of Cedar County, Missouri, the 1913 Red Book from the Bureau of Labor Statistics and Cedar County Maps. 1883 History of Bates County, Missouri, 1913 Red Book from the Bureau of Labor Statistics and Bates County Maps.